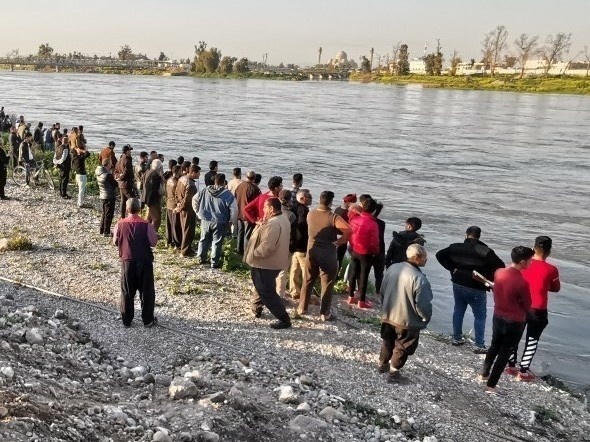 People follow the search and rescue operations around the site after a ferryboat sank in Iraq's Tigris River on Thursday, leaving dozens dead and more than 100 others injured. The interior ministry spokesperson says 71 people, including many children, are confirmed dead, according to NPR's Jane Arraf. Mosul Mayor Zuhair Araji said the vessel had "reached its capacity," possibly causing it to succumb, according to Kurdistan24. The U.S. embassy in Baghdad offered its condolences to "the families and friends of those who lost their lives in the tragic ferry accident on the Tigris River near Mosul."